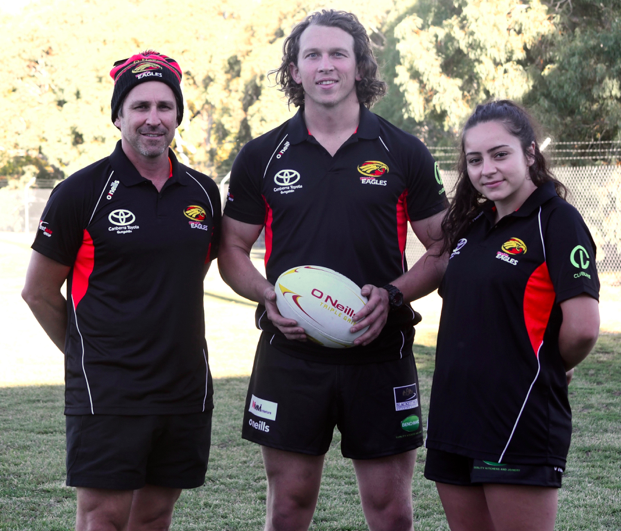 Another Atkins will join the ranks as an Eagles 1st Grade footballer when 18-year-old Joel takes to Viking Park on Saturday afternoon in Round 1 of the 2019 John I Dent Cup. It’s a feat that both older brother Tayn (6 caps) and Uncle Dan (36 caps) have on their rugby resume. Head Coach Marco Caputo announced the team at The Nest last night to a large squad that applauded the 15 players selected, which includes four Eagles debutants in Tristan Stanley, Jahrome Brown, Tamati Ioani, and Joel Atkins. The Eagles starting XV will feature four Brumbies, and four debutants. Caputo says Joel’s versatility at scrum-half make him an exciting young prospect for the Red & Black. “My advice to Joel is just to go and play footy. He won’t get starry-eyed or worry about some of the big names around him, he’s got a good head on his shoulders and I’m sure he’ll go well” Caputo said. 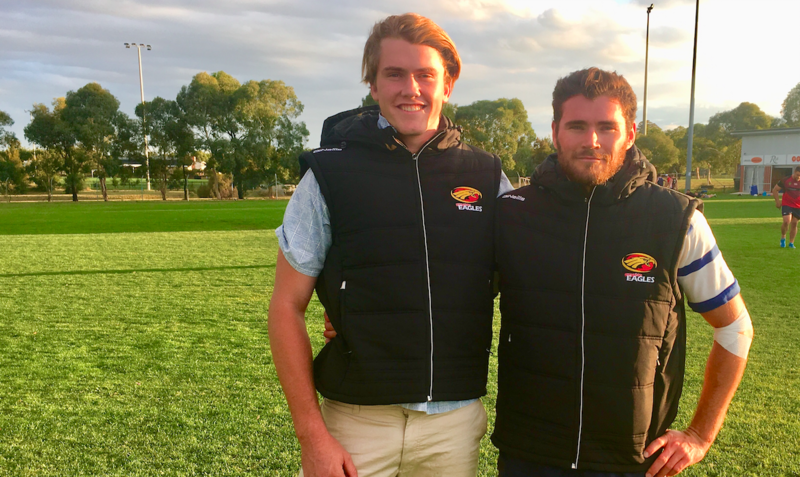 It will be a baptism of fire for the Daramalan product, but the idea of the Vikings in Tuggeranong isn’t a deterrent, Joel’s immediate emotional response was pure excitement. “I can’t wait to get out there and play with guys I’ve been watching since I was 12 years old.” (J) Atkins said. Joel’s Father Troy says the Atkins family will flock to Wanniassa in support. “To be honest I was quite shocked as well, but we’re just tremendously proud of the effort he’s put in in the last couple of years and this preseason in particular” (T) Atkins said. Joel’s brother Tayn also returns to the football field in 2nd Grade, after numerous injuries has seen him spend some time off the field and in the gym. When the two brothers take the field together it will make for quite a special moment. 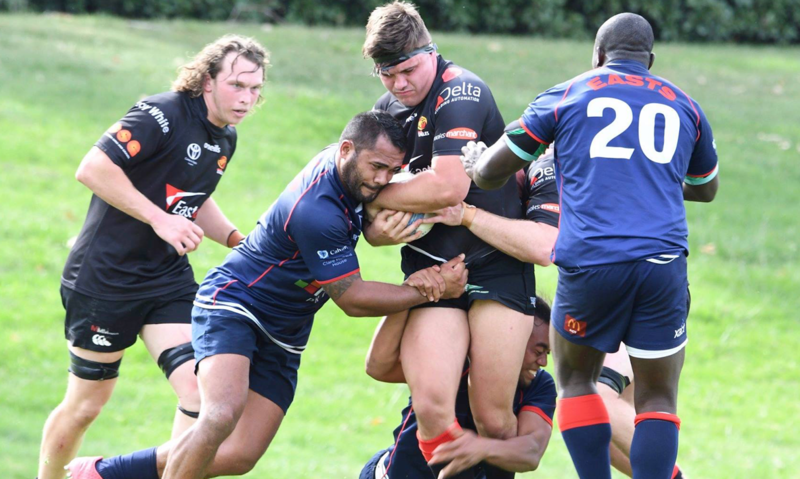 Be sure to head out to Viking Park tomorrow to catch Round 1 of the John I Dent Cup!